5 Ways to Maximize Marketing Strategy Using Custom Logo Ribbon - ThirtySevenWest ThirtySevenWest - Creative ideas about personalized custom ribbons, woven tags and labels, personalized gifts and more!!! 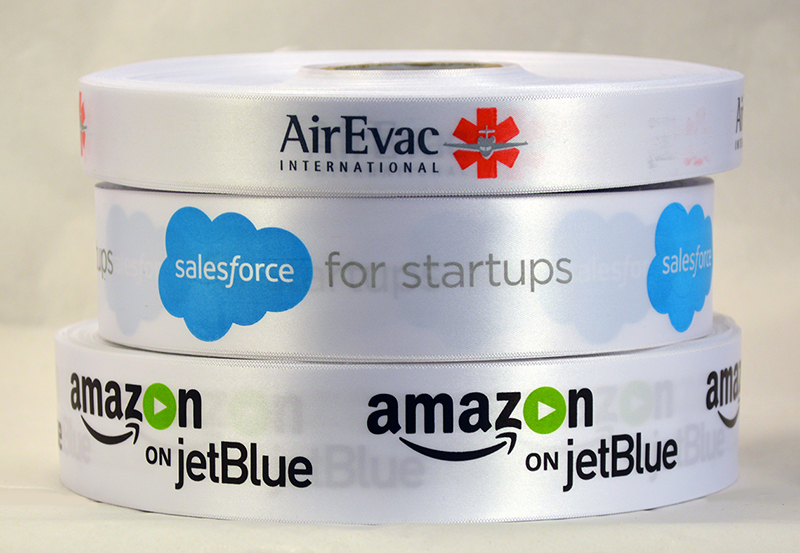 Logo ribbons are supplied by the roll and printed with your custom message at continuous intervals. High quality ribbons in your choice of color and width are printed with your company details or specific messages, and these pretty, decorative ribbons can be used in a number of ways to raise the profile of your brand. Custom logo ribbon is a fantastic marketing tool for increasing local awareness of your business, and can be used on a variety of occasions. Organizers of local festivals, fairs and events appreciate the support received from businesses, your custom logo ribbon is effective when tied around tombola prizes to produce pretty and colorful bows, and is a good way to raise brand awareness in the neighborhood. Holiday and seasonal gifts can be gift wrapped using your logo ribbons to enhance customer recognition of your logo at appropriate times during the year. Don’t neglect the “little people” when you organize promotional events of any kind. Your logo ribbon could be a perfect promotional tool tied to balloon freebies for children, or you could even sponsor a balloon race to promote your business more widely. Favor bags are inexpensive treats that can be given away at a variety of different events in your locality or nationally, at any time of year. If you’re attending trade fairs, marketing your products around your neighborhood, or simply promoting your brand to local householders, business owners and consumers, giving away sweet treats is always appreciated. When your favor bags are personalized with your custom logo ribbon, your business profile is raised. Use your custom logo ribbon for decorating trade stands with streamers and bows. Attach it to your company car antenna at events, and add ribbon bows to any free products you hand out. You’ll find it easy to promote your business at any event, celebration or occasion when you maintain stocks of custom logo ribbon. 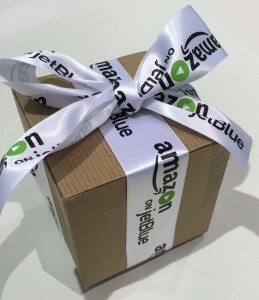 If you’re attending trade shows, exhibiting produce at local events or running customer training seminars, simple favor bags filled with treats or business samples and products have a professional appearance when decorated with your logo ribbon messages. Contact Thirty Seven West to discuss more ways our custom logo ribbons will increase brand awareness. This entry was posted on Monday, May 30th, 2016 at 2:46 pm by Linda	and is filed under Personalized Ribbon. You can follow any responses to this entry through the RSS 2.0 feed. Both comments and pings are currently closed.